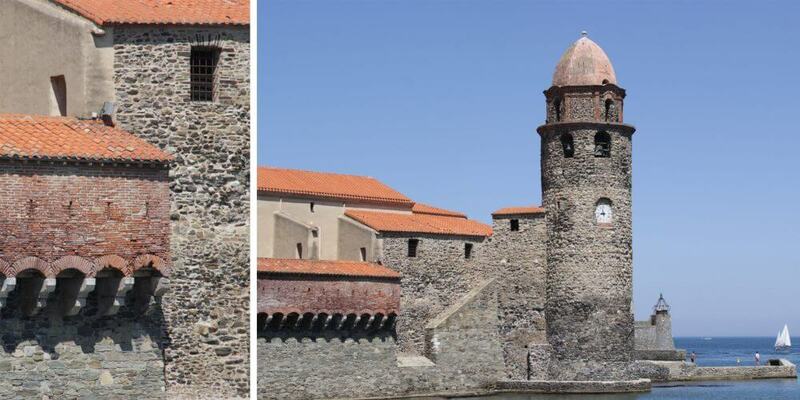 A short history: since ancient times, Collioure has been an important port of the Mediterranean. 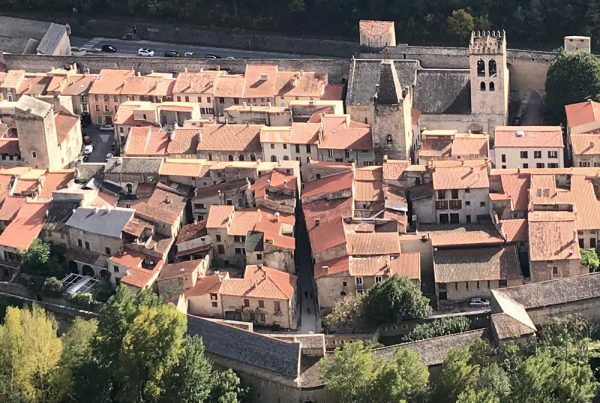 It used to be divided into two villages: Port d’Avall, also known as Le Faubourg, and Port d’Amunt, or La Ville. The river Douy separated these two villages. 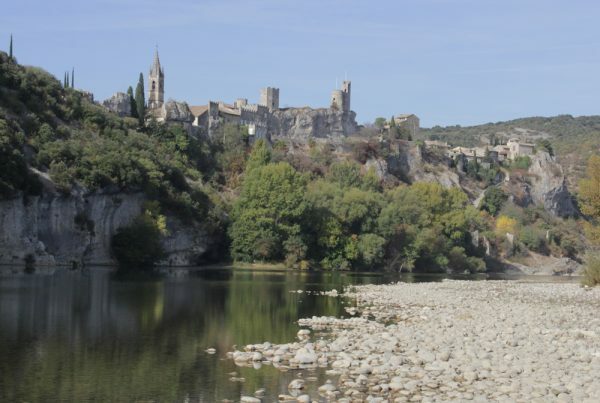 The Château Royal is already mentioned as early as 673 by the occupation of King Wamba, King of the Visigoths. 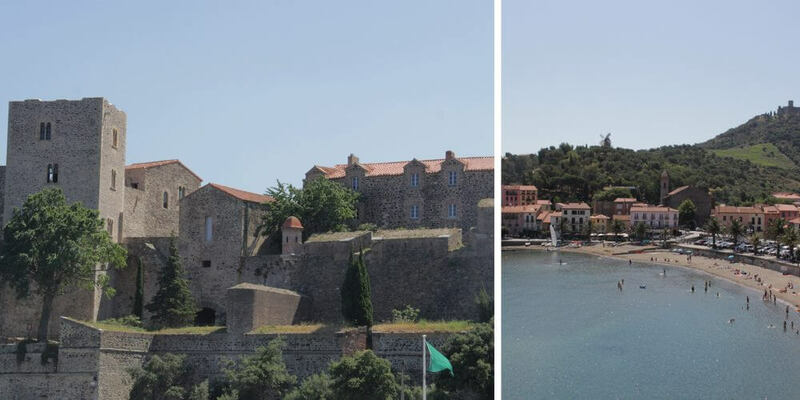 In the centuries that follow, Collioure is occupied by the Romans, Barbarians, Arabs, Spaniards and French. In the 12th century, the Château Royal was used as a summer residence by the kings of Majorca. 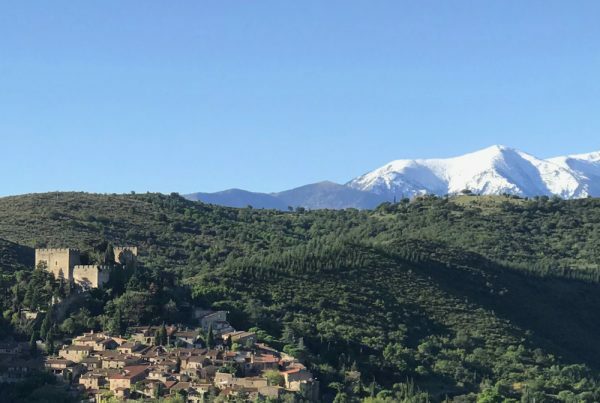 By the end of the 17th century, Collioure becomes definitively French, when the Roussillon region is added to France by the Treaty of the Pyrenees. On the other side of the bay is the church of Notre Dame des Anges, dating from the 17th century. The round bell tower is part of this church and is the symbol of Collioure. You will see this tower everywhere: on postcards, pictures and paintings. In the 20th century, Collioure was discovered by a large number of artists, including Picasso, Derain, Braque and Dufy. 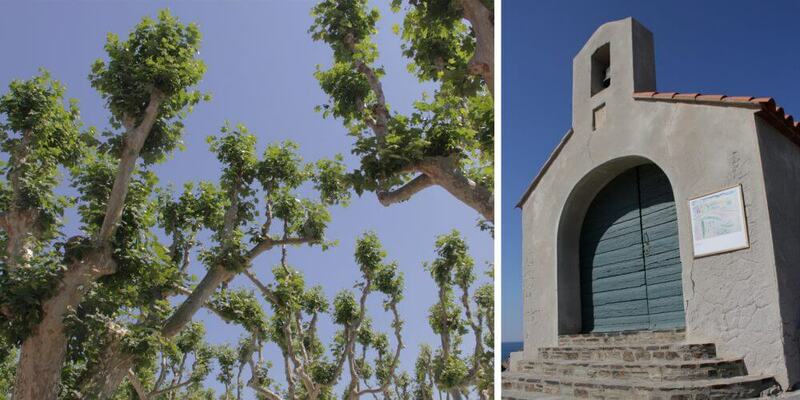 According to Matisse, the sky is nowhere as blue as in Collioure, something that I have seen during my stay! Even now there is an artistic atmosphere in the village; you will find many galleries and studios. Collioure is located on the Côte Vermeille, in the far south of France and only 20 kilometres from the Spanish border. It is the warmest region of France. With about 300 hours of sunshine a year, life is pretty good here. More people share this opinion. Especially in July and August, the village is bursting at the seams. June is still off-season, so there was enough space on the terraces and the restaurants were not overcrowded. Even the beach was empty! 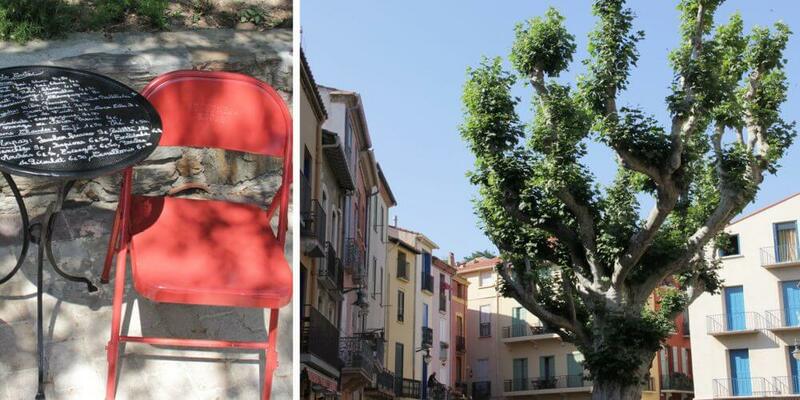 Something that you probably can not imagine in a few weeks… If you can, try to spend a night at Collioure. It is truly magical to sit on the beach by night with the beautifully lit bell tower in the background. After this relaxing Saturday, Sunday morning came. And Sunday morning means market day in Collioure. Even in June, it attracts many visitors. In July and August it is even impossible to park (I speak from experience…), but this weekend in June I managed to park my car at the big parking lot near the castle. The market is in the old part of the town and is great to visit. 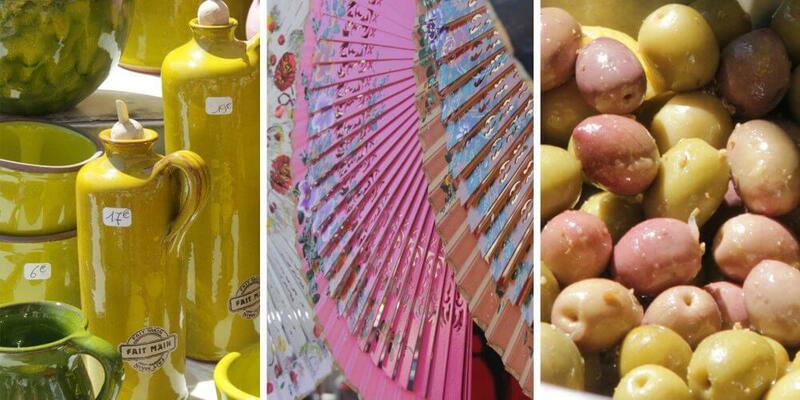 You will find all kinds of the most delicious food, but also beautiful pottery, fouta’s, hats, clothing and of course art. 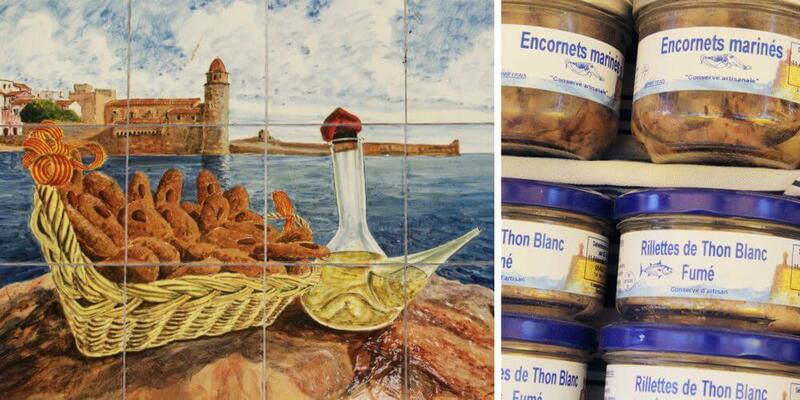 After all, Collioure is the “Ville d’Art”. All in all a lovely weekend away. 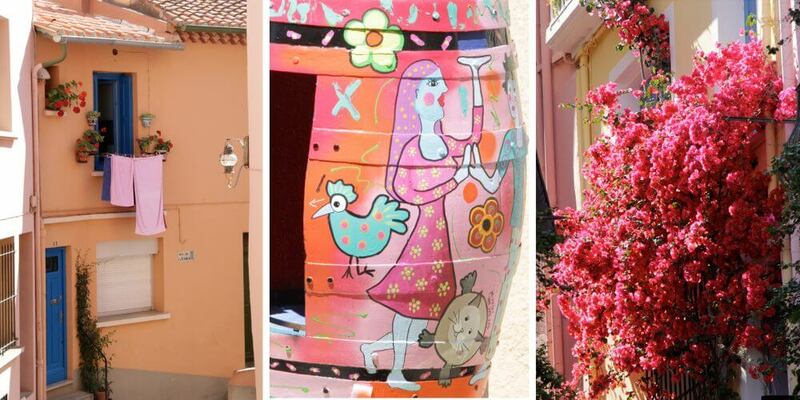 The colourful Collioure is certainly worth a visit. The picturesque old town has enough charming streets and squares with plenty of restaurants, shops and galleries to spend a day or longer… The great part is that you can combine a lot of things: interesting history, tasty food and beautiful art followed by a cool dip in the sea. 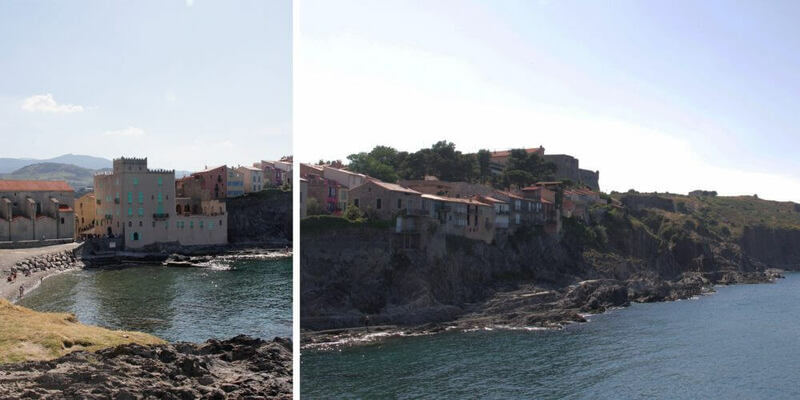 Best time to visit Collioure to my opinion is Spring or Autumn, as it is less busy. 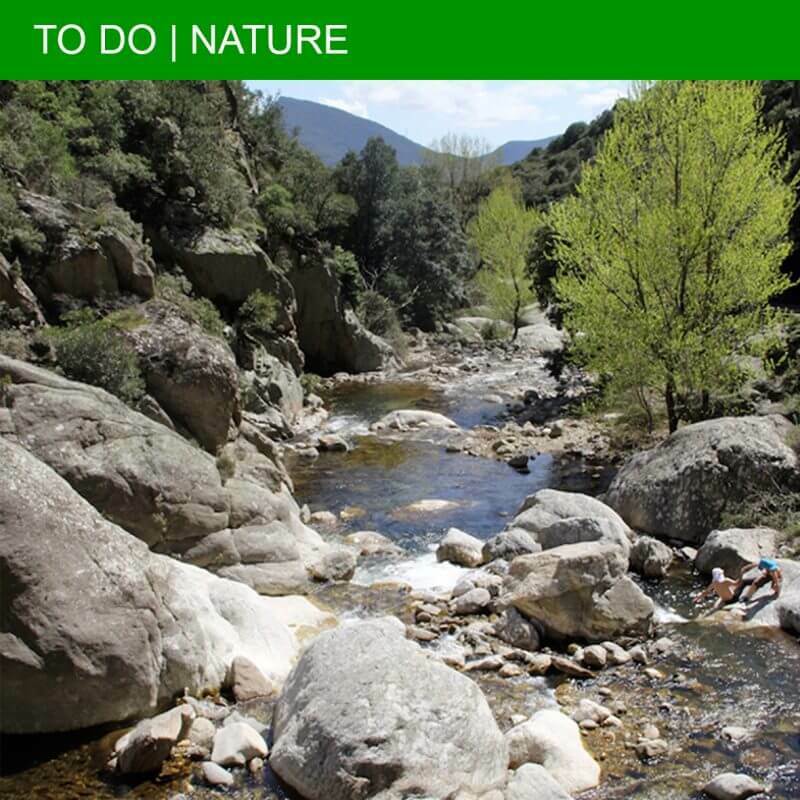 But even in summer, it is well worth a visit. Château Royal is open all year long except for a few public holidays. Check the website of the Office de Tourisme for opening hours and entrance fee.